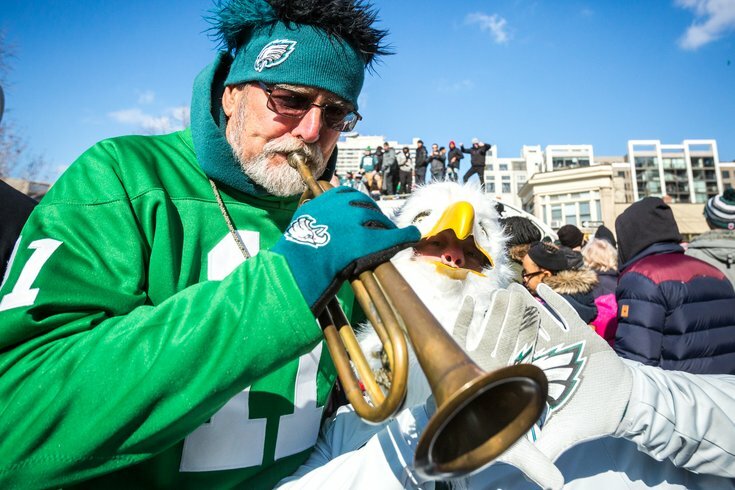 Bill Graefe Sr. and his son Bill Graefe Jr., both of Philadelphia, cheered on the Philadelphia Eagles during the championship parade, Thursday, Feb. 8, 2018. 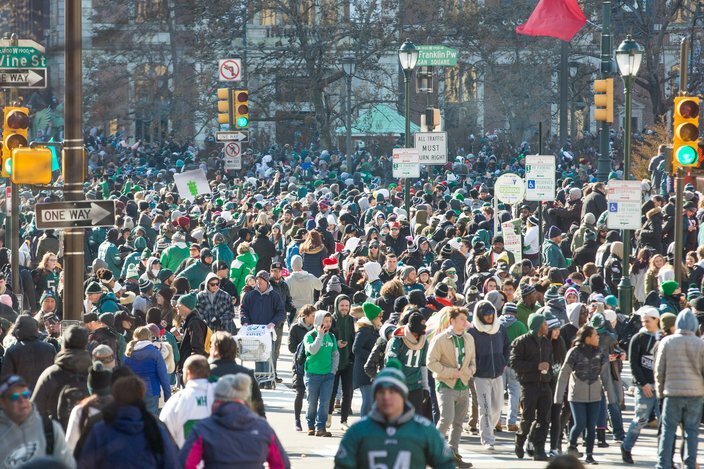 Hundreds of thousands of people flocked to Center City to honor the Philadelphia Eagles with a Super Bowl LII championship parade on Thursday. 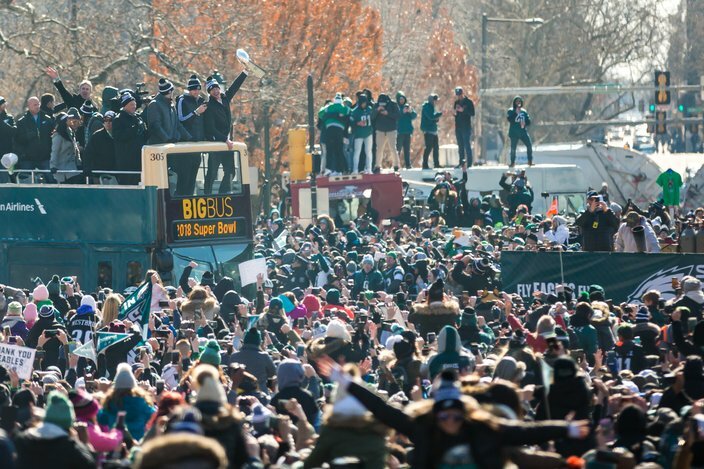 The celebration will go down in history as one of the most memorable events ever held in Philadelphia. 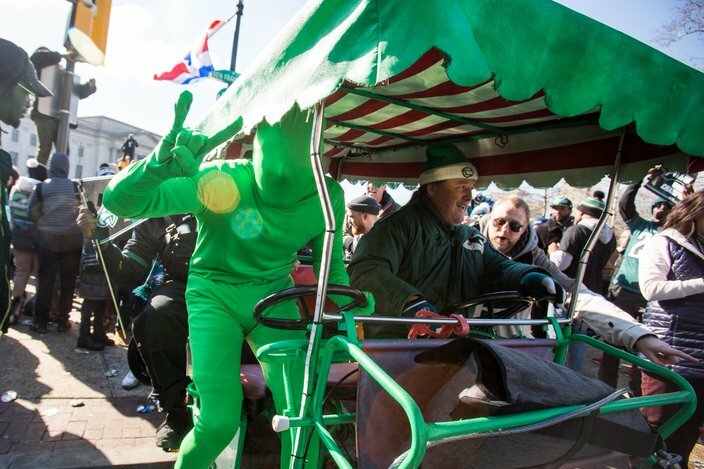 If you weren't able to trek to the parade and see everything up close, we've got you covered. 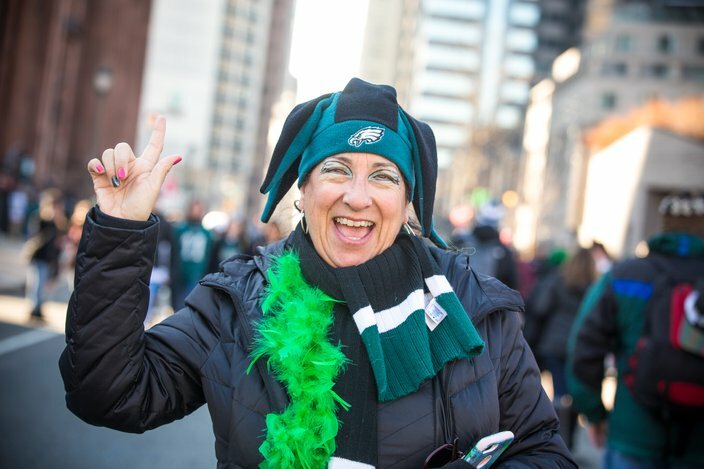 Check out the photos below to see how fans celebrated in the streets. 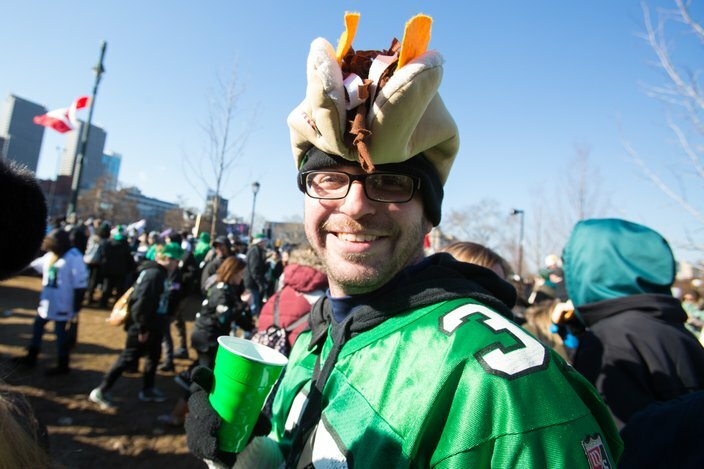 The Benjamin Franklin Parkway was one giant party Thursday for the Eagles championship parade. 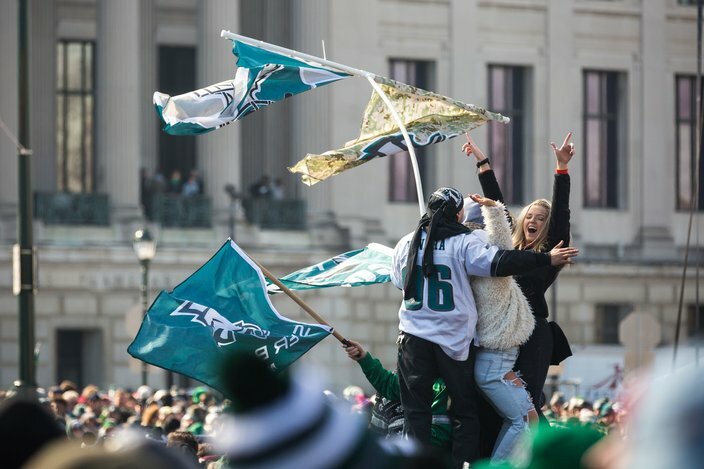 Fans cheer on the Philadelphia Eagles during Thursday's championship parade. 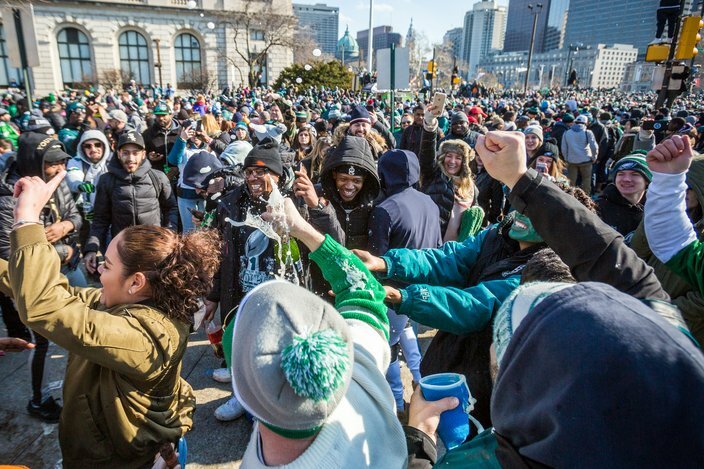 The Benjamin Franklin Parkway was one giant party during the Eagles parade. 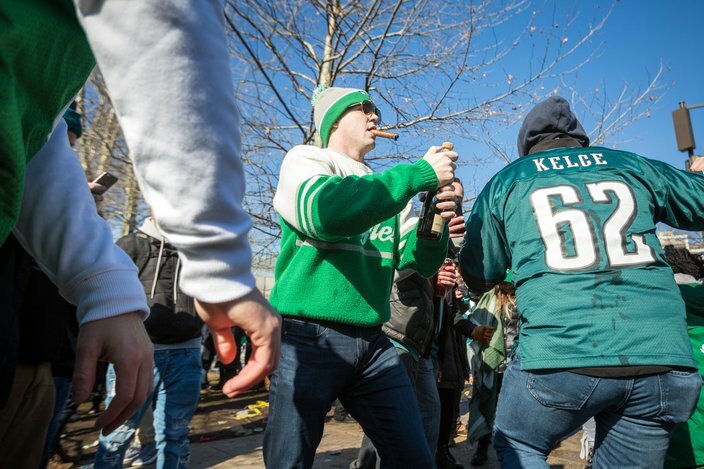 This group came from North Philadelphia to the Benjamin Franklin Parkway on Thursday to cheer for the Eagles. 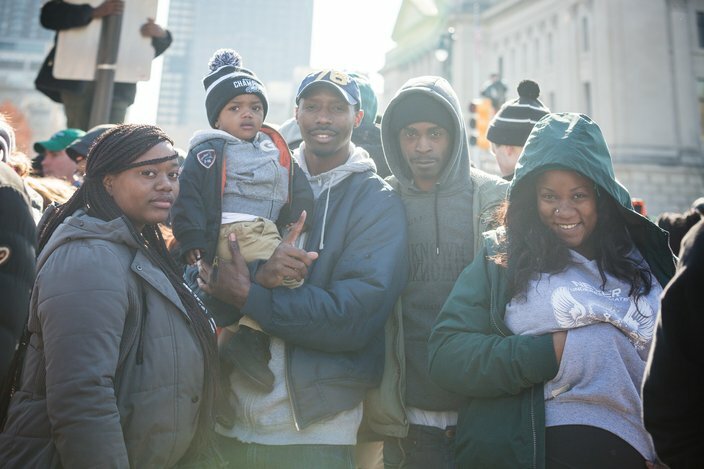 The Creighton family from North Philadelphia attended Thursday's parade. 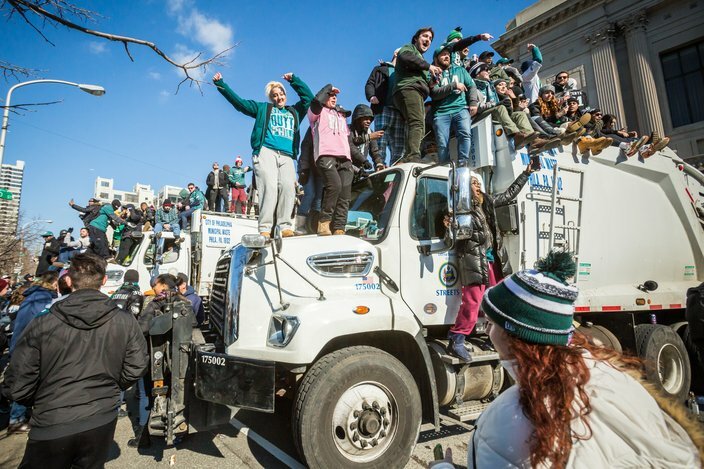 Philadelphia city garbage trucks provided fans, including Dana Gular and Tina Glam, far left, a higher vantage point during the Philadelphia Eagles championship parade. 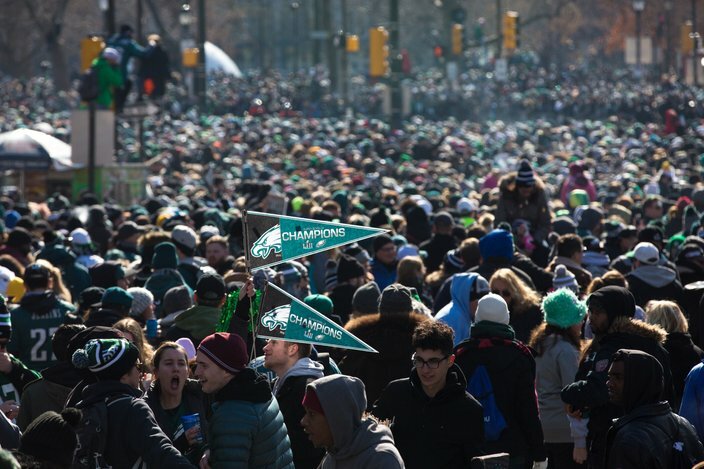 The Eagles parade along the Benjamin Franklin Parkway at 20th Street during the Super Bowl championship celebration on Thursday. 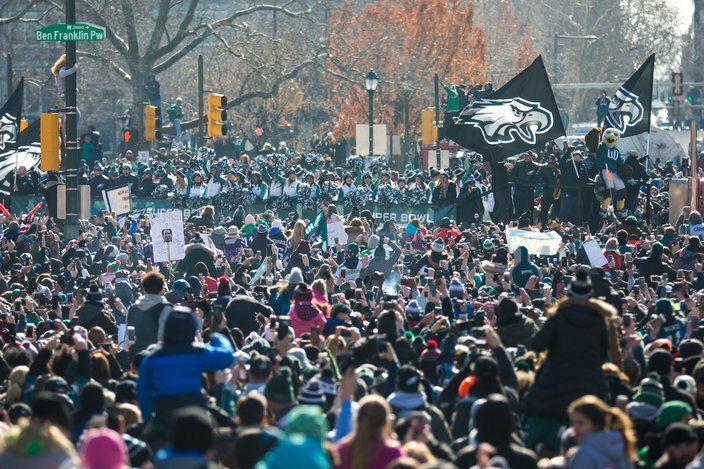 The Eagles parade along the Benjamin Franklin Parkway at 20th Street. 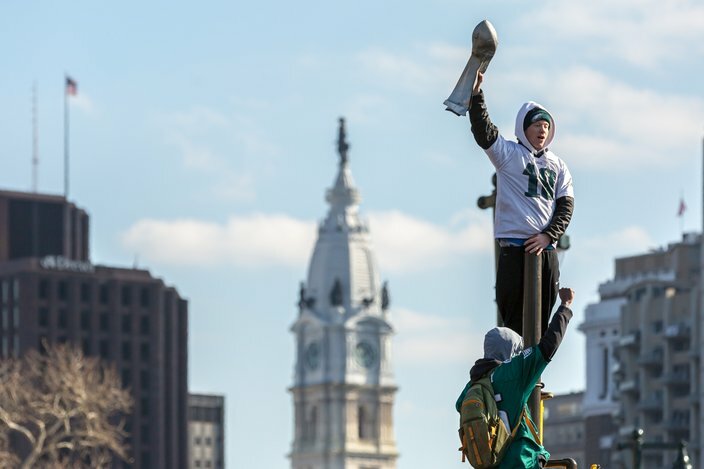 Fans dance on top of an electrical box on the Benjamin Franklin Parkway during the Eagles championship parade on Thursday. 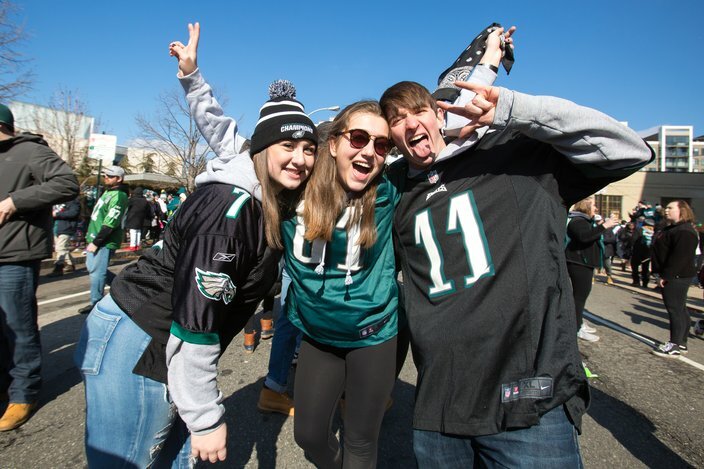 Temple students Alison DiSandro, Cristina Prats and Tigue Devine party on the parkway. 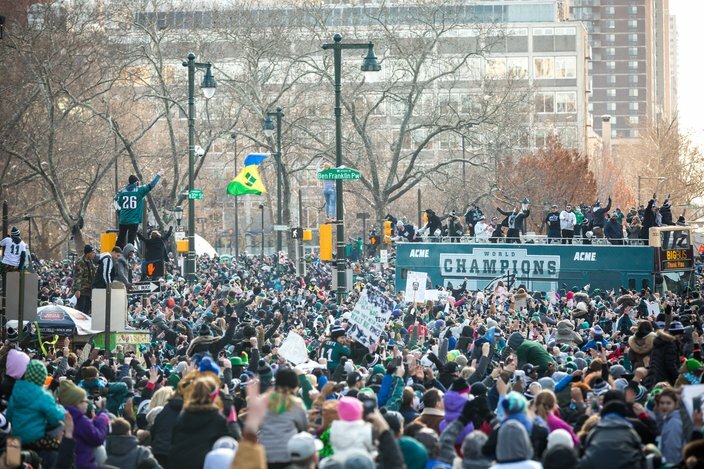 Fans packed in to watch the Eagles championship parade. 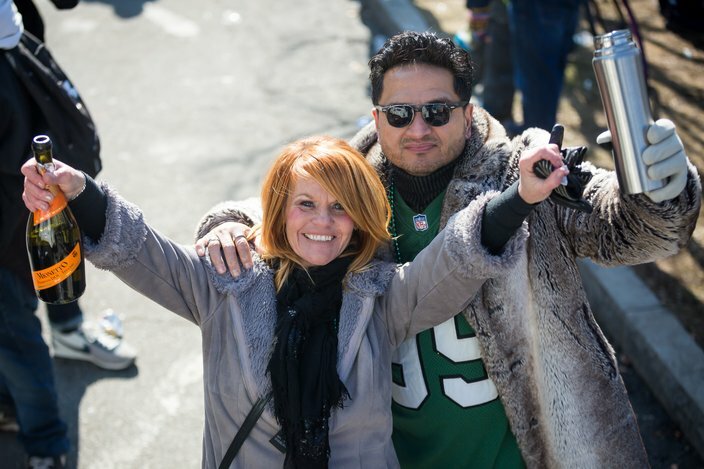 Shelley Sollars of Pennsville, Salem County, and Alan Herrera of Fishtown cheered on the Eagles during the championship parade. 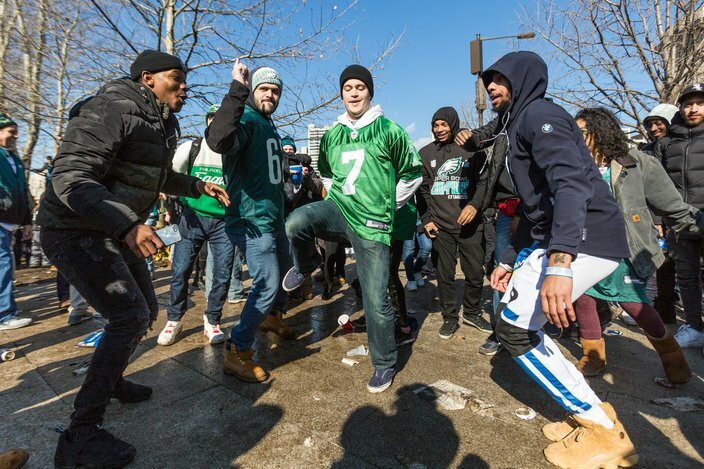 This fan danced to the “Electric Slide” near the Benjamin Franklin Parkway. 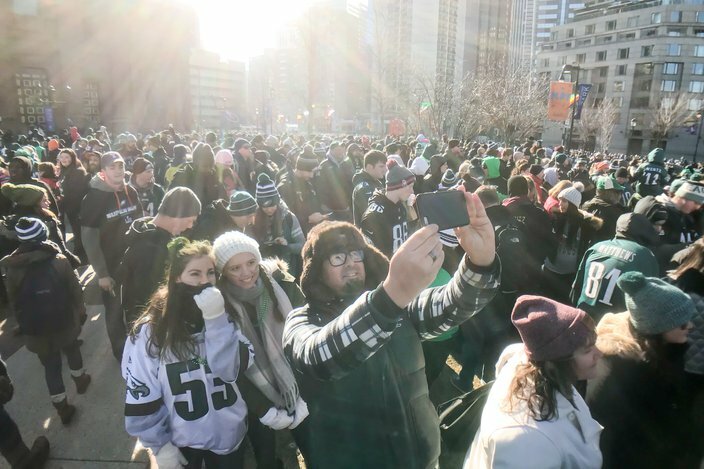 The crowds around Logan Square filled in tight against the barriers hours before the Super Bowl champions would take their victory trip down the Benjamin Franklin Parkway. Mackenzie O'Donnell and Paul O'Donnell of North Wales, Montgomery County, and Nadine Schwartz, center, of Southern Germany take a selfie while waiting for the Thursday's parade to begin. 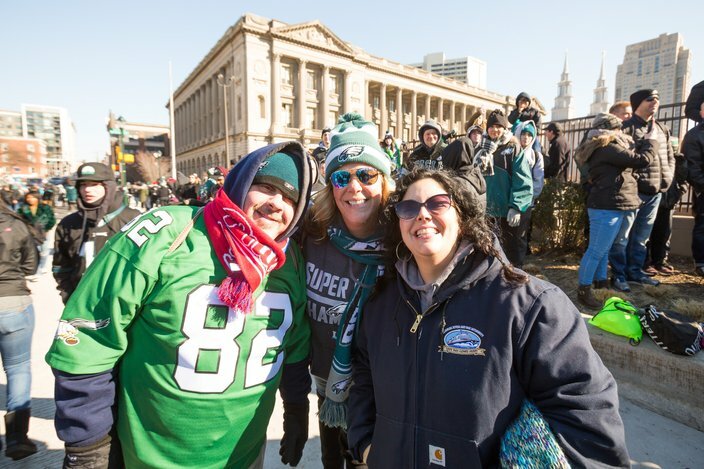 Carlo Lala, Debbie Walker and Denise Ferrigno from Southwest Philly found a sunny spot near the Free Library of Philadelphia to watch the Eagles championship parade. 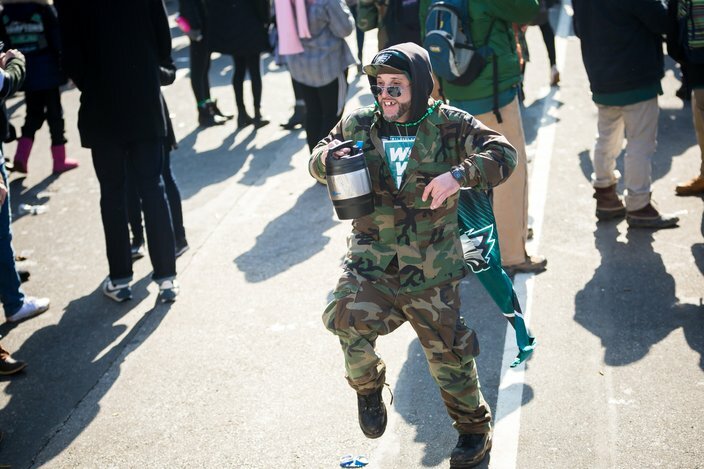 Felicia Eitzen, a Philadelphia native, came to watch the Eagles championship parade from Ocean Gate, Ocean County. 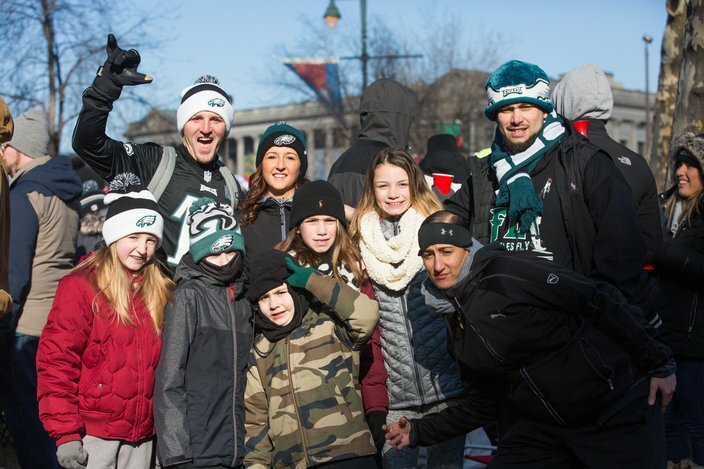 Members of the Rue family from Mayfair, who now live in Florida, flew back to Philadelphia for the Eagles championship parade. 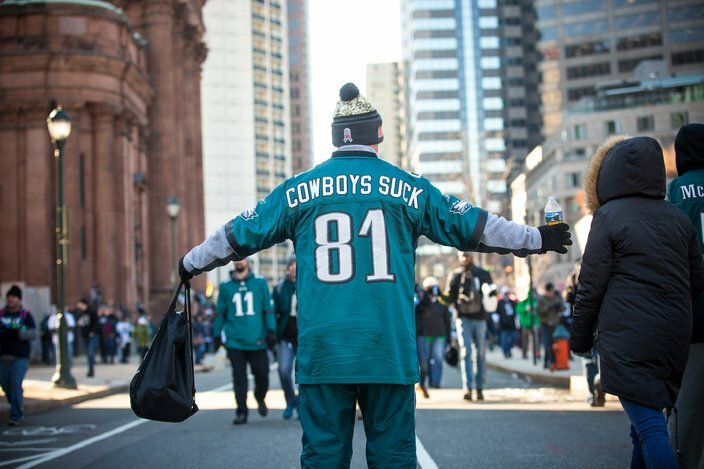 Fans came dressed in their favorite gear to the Parkway. 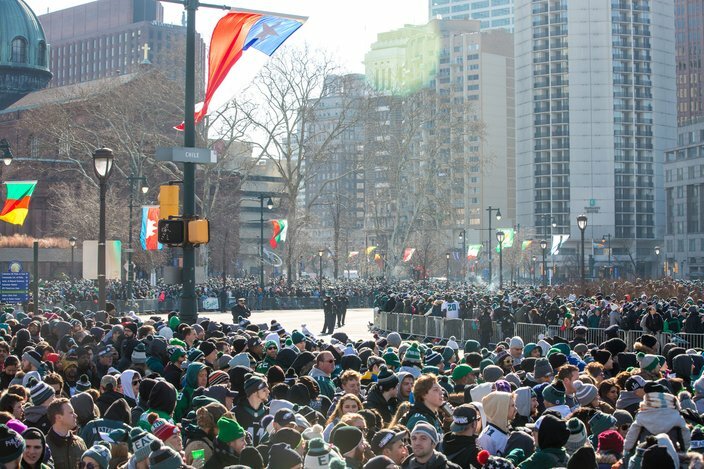 The crowd waits near Benjamin Franklin Parkway at 19th Street before the start of the Eagles championship parade. 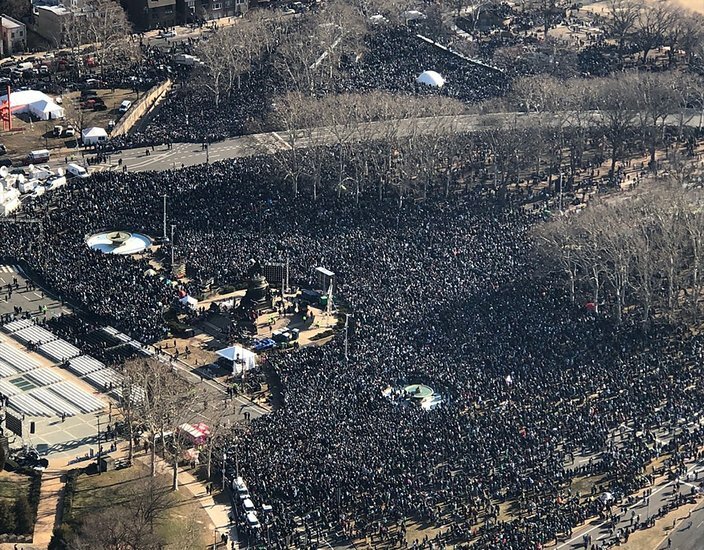 A police helicopter captured this aerial photo of the Eagles parade crowd on the Benjamin Franklin Parkway at about 1 p.m. Thursday. 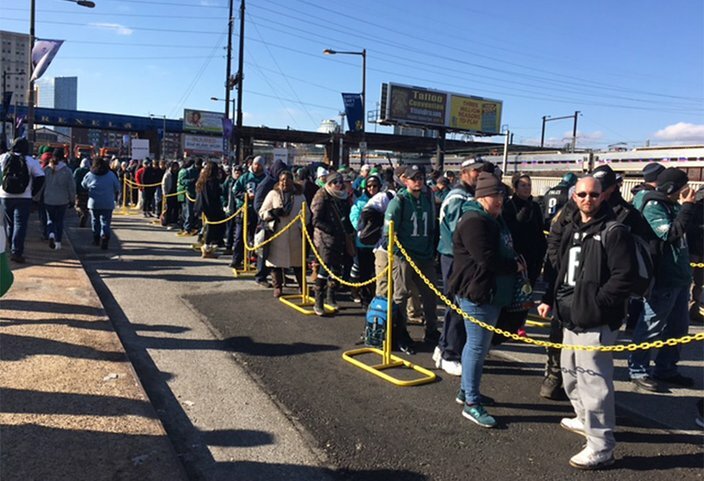 After the Eagles parade was over, lines quickly formed outside 30th Street Station for Regional Rail service.